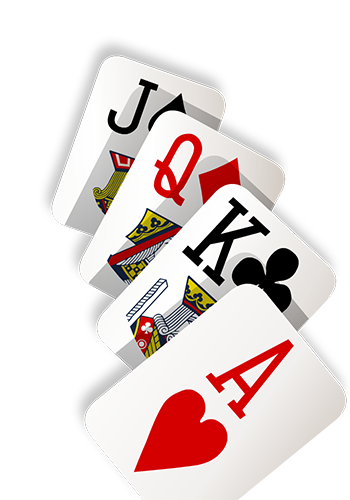 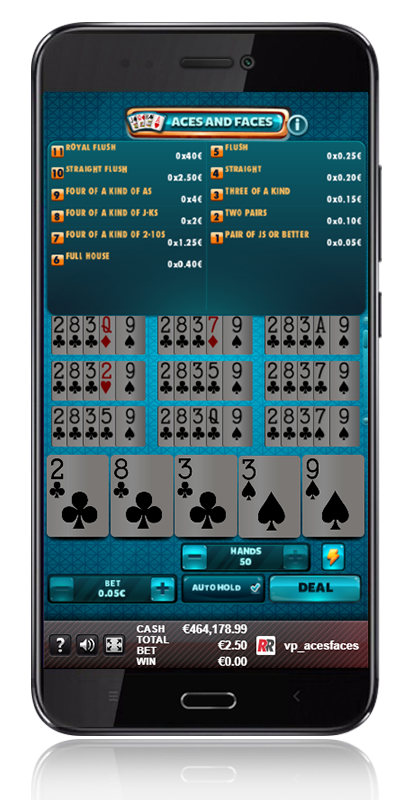 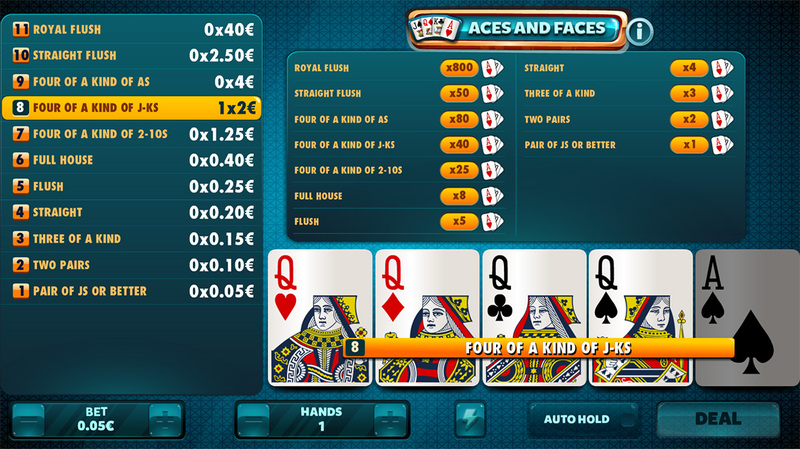 An entertaining format where the Four of a Kind hands of Js, Qs, Ks and As have prizes. 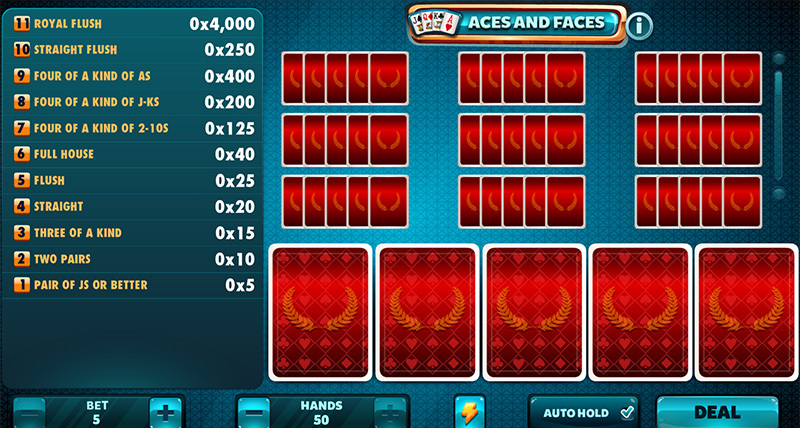 It will be easy for you to obtain a winning hand, as any combination equal to or higher than a single pair has a prize. 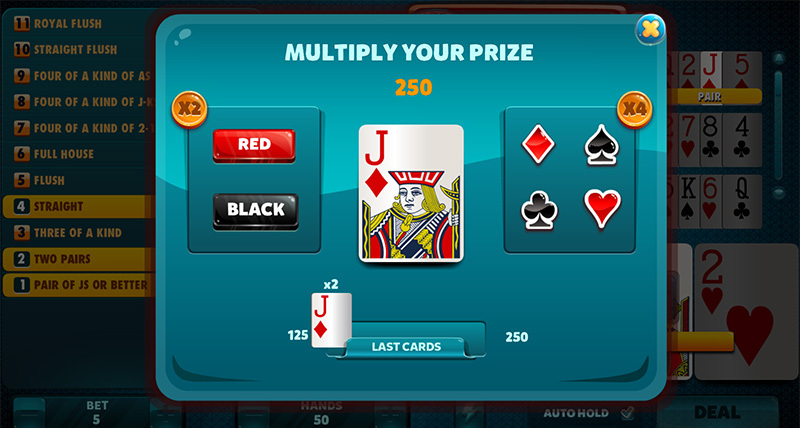 Any hand equal to or higher than a pair will have a prize. 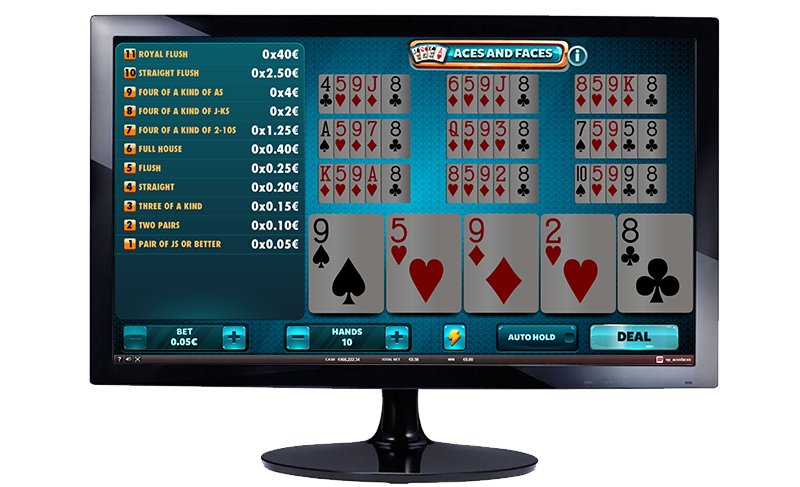 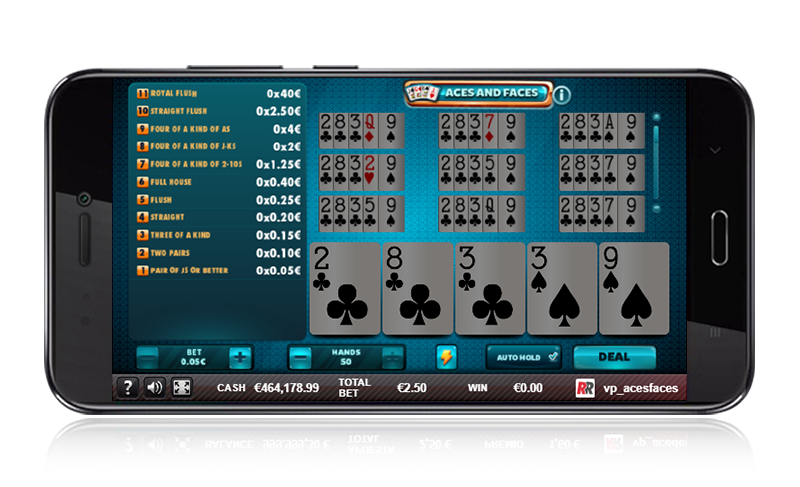 Aces & Faces: The Video Poker format with the most prizes, with a single pair you will already have a prize. 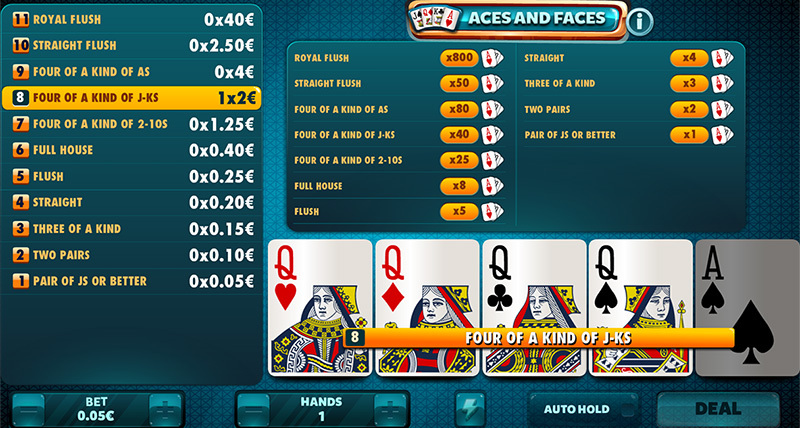 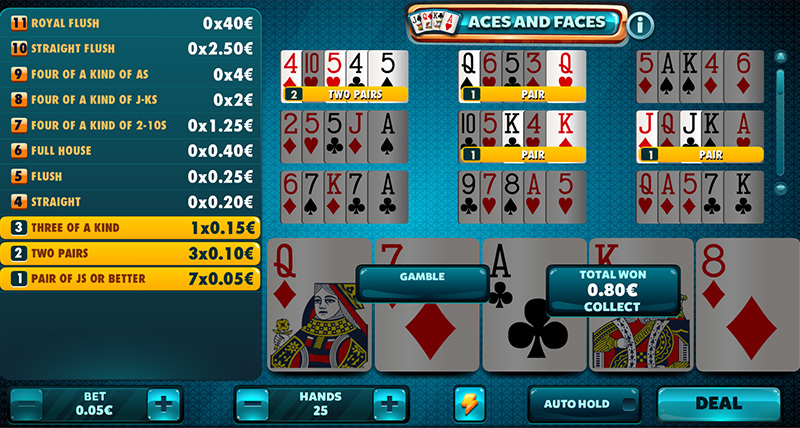 Aces & Faces: Any hand equal to or higher than a pair will have a prize.